Solicitor for divorce dispute in Northwich, Cheshire. 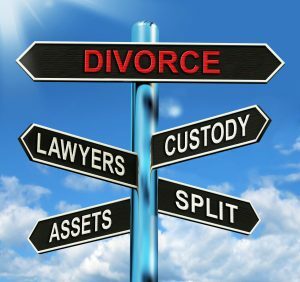 Stonehewer Moss – Northwich solicitors for a family law divorce child or cohabitation dispute in Cheshire.Why choose Stonehewer moss solicitors for your family law dispute? 1. Experience. Our family law service is headed by Michael Brennan*, a solicitor with over 22 years qualification and acknowledged specialist in family law, through accreditation on the Law Society Advanced Family Panel and the specialist panel of Resolution, a national family solicitors organisation. He conducts the vital steps of your case upon family law disputes supported by approachable members of staff. 2. We offer flexible services, being open to meeting at convenient locations within an hours` travel from Northwich or possibly by use of Skype over the internet. 3. We offer the full range of skills required to handle the various stages of a dispute; through advice, negotiation to representation at Court. Michael has presented Court cases regularly throughout his career and we have good relationships with specialist Barrister advocates when that is best for you. d) Your relationship when it has come to separation deserves respectful handling through each stage to resolve legal ties with your former partner. Separating with dignity is not an unreasonable expectation. 5. Our charges are competitive and can include finance arrangements or fixed fees. Your case will not be weighted according to our perception of you according to your “worth” if you can afford our charges, perhaps with finance. If you Google “High net worth clients and family solicitors” you will see our competitors approach. How many pages did you get to before giving up? Our clients are not sought to give us an ego boost or to pad out charges if you are wealthy. This article was added on Thursday, November 19th, 2015 at 9:35 am and is categorised under Cheshire News, Chester News, Child arrangements, cohabitation disputes, collaborative law, Divorce, divorce finances, Family finances, Family Law, General News, Macclesfield News, Runcorn News, Warrington News, Winsford News. Both comments and pings are currently closed. Error: Error validating access token: Session has expired on Saturday, 09-Mar-19 13:12:58 PST. The current time is Thursday, 25-Apr-19 21:47:37 PDT.